Probation cases have specific requirements, and even a minor misstep can create a significant problem with the court. If you facing a possible probation violation in Burbank, it's best to face it head-on, rather than ignore it, & hope it goes away. Proactive measures can be taken by your attorney, which may give the court to consider a creative solution, rather than penalties for non-compliance. George Kita has handled 100s of probation violations, during his tenure as a prosecutor, as well as his time as a defense attorney. He is familiar with probation violation defense, as well as creative strategies. If you are facing a Burbank probation violation, call Mr. Kita, and learn what options may be available for you, at 818-536-3630! Misdemeanor & felony cases typically include probation is a standard condition. Probation is considered an alternative to a jail or prison sentence, but requires strict compliance. When you are placed on probation, there are specific & general requirements which must be met. Any failure to obey the requirements can result in a violation. A probation violation can result in jail or prison time, extension of your current probation, additional community service, fines, or counseling. If you have been accused of a probation violation, obtaining the services of an experienced probation violation attorney is an important first step. George Kita is committed to providing clients with personal and professional representation. 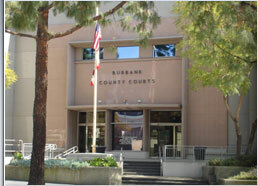 He understands the legal requirements of probation, & can determine your best defense strategies. For more information about how he can help with your probation violation or bench warrant, please visit his probation violation website. Probation Violation in Burbank? Call 818-536-3630! *Every client's case is different, and results are based on related circumstances and facts.